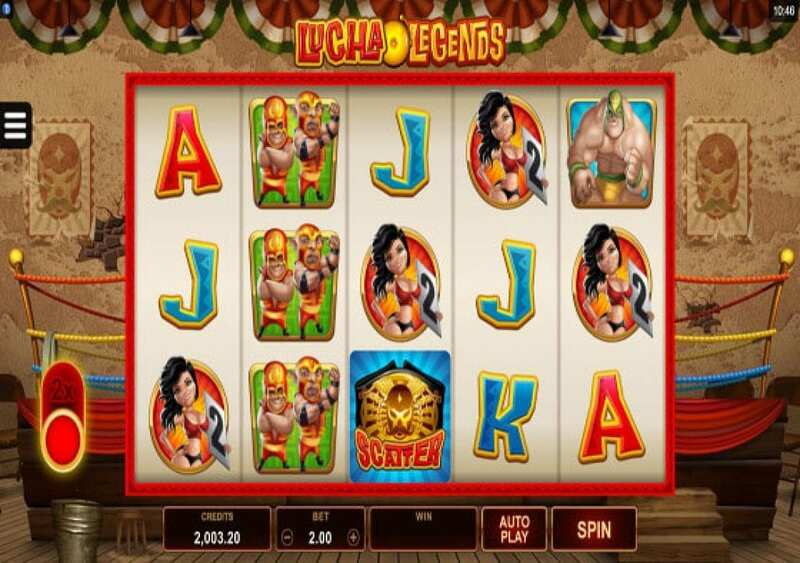 Get ready to step into the Mexican wrestling ring to fight for glory and action, through this new Microgaming slot machine, Lucha Legends. The slot has five reels with 25 lines, and it comes packing plenty of bonuses and features that you can trigger along the way. 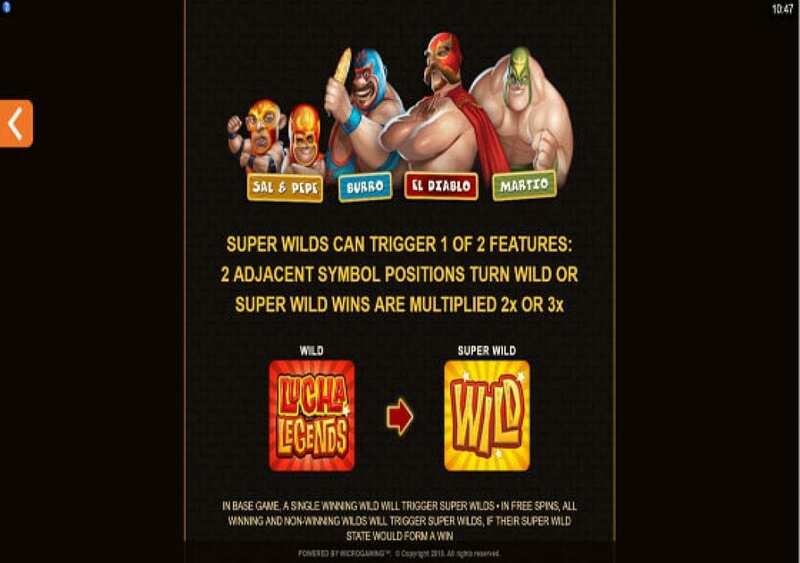 These features include wild multipliers, extra wilds, free spins, and the Super Wild Feature. Lucha Legends is playable across multiple devices and operating systems, and this includes Androids, iPhones, Windows Laptops and more. You can also give the slot game a few spins here for fun, so you can see all of its offerings before you play it with real cash. 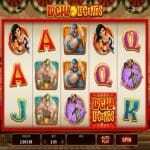 Lucha Legends is the new release by Microgaming. The slot machine has five reels that offer you 25 lines that can trigger some massive rewards. 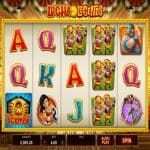 Apart from the line prizes, the slot machine also offers a multitude of features and bonuses. 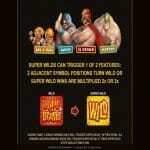 These features include extra wilds, free spins, Super Wilds and multipliers. As the title of the slot machine indicates, it is all about the world of Mexican Wrestling. It is not only the title, as the visuals and symbols of the game help in providing an immersive gaming experience. Lucha Legends is playable across a multitude of devices and operating systems, and this is why you will be able to enjoy it on your Android device, iPhone, or Windows Laptop. It is also compatible to work well with different sized phones and tablets. Lastly, the slot machine is available here with demo credits, so you can give the slot machine a few spins for fun before you place any real stakes on the slot at an online casino. 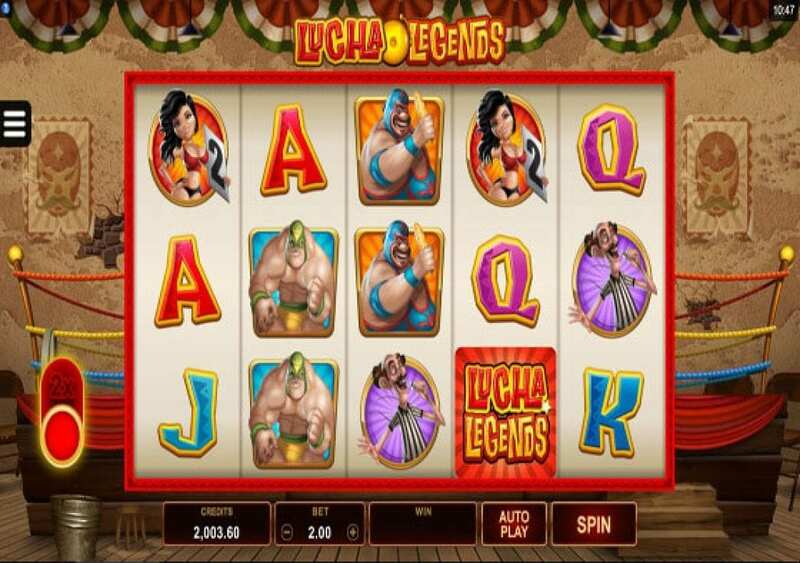 As the title of the new Microgaming slot machine shows, it is all about the world of Mexican Wrestling the Lucha Libre. It is a style of wrestling in Mexico which translates to Freestyle Wrestling or Free Fight. It is a favorite kind of wrestling that exists in Mexico and Latin America. Unlike other forms of wrestling, the wrestlers all wear colorful masks, and they engage in Dangerous yet entertaining sequences of maneuvers and holds. The wrestling style began in Mexico, but the high flying movements spread across the United States to some of the biggest wrestling franchises such as the WWE. Perhaps two of the most popular Lucha Libre styled wrestlers in the WWE were Rey Mysterio and Eddie Guerrero. 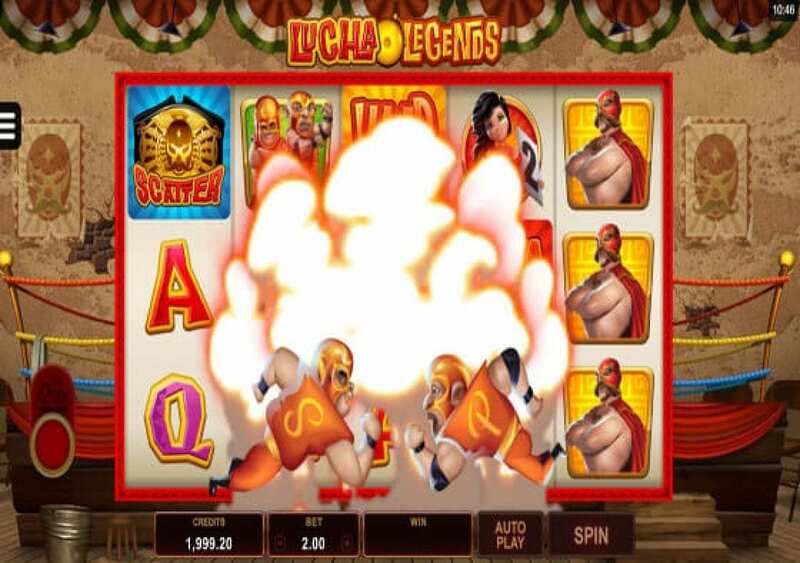 The slot machine that we have here takes you on a Lucha Libre themed experience where you will get in the ring with the flying superstars for a one of a kind adventure that is full of action, high flying maneuvers, and plenty of rewards and features. 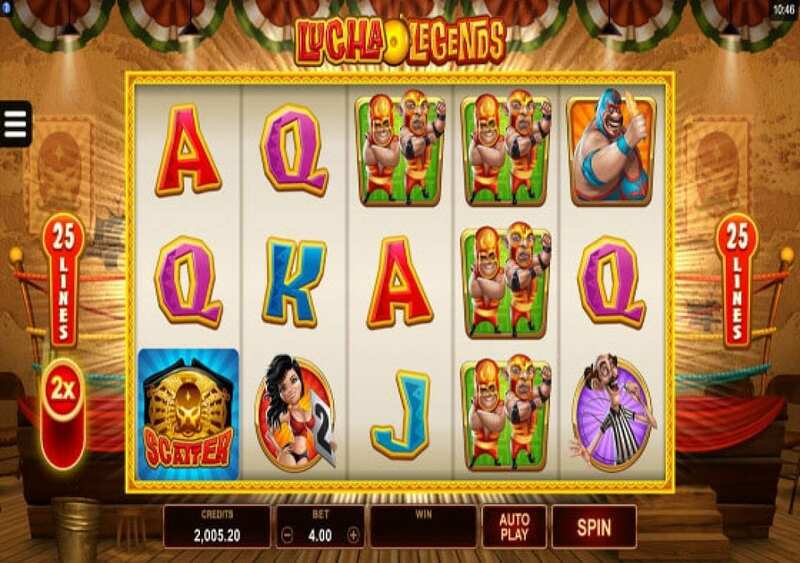 Lucha Legends has terrific visuals that help immerse you into the theme of the video slot machine. It has a high-paying format of five reels and 25 lines with three rows of symbols. 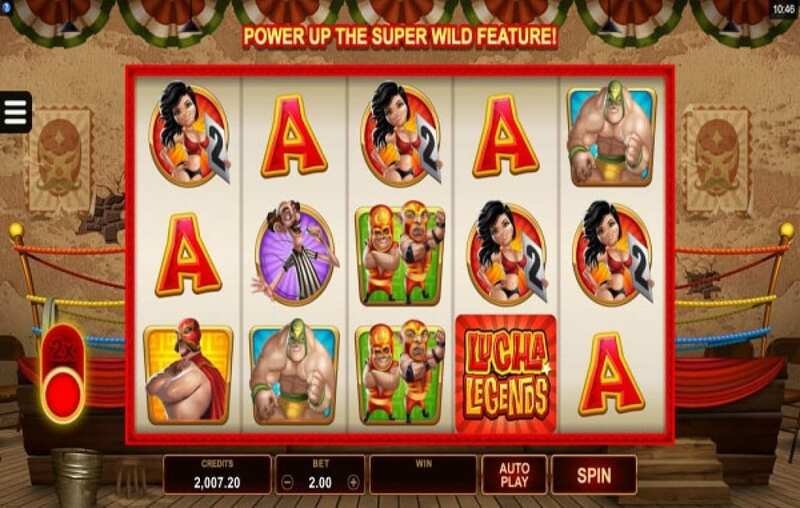 Since the slot game is all about the Lucha Libre world, you are going to notice colorful visuals and plenty of Lucha Libre Wrestlers landing on the reels and lines of the slot as symbols. The Reels also take place in the middle of the Lucha Libre ring with posters of wrestlers on the walls in the background. The other symbols that do not represent the wrestlers include the wild multipliers and the golden championship belt. The control panel is under the reels, where you can control the gameplay. It is where you can start to spin the reels, control the autoplay spin, and manage the stakes. 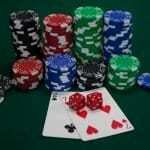 You will be able to place stakes that vary between 0.50 and 37.5 credits for each round. There is also the Power Up feature button that you can activate, which is going to double the bet, to give you a maximum bet of 75. The Power Up feature is going to boost your chances of activating the Super Wild feature. Lucha Legends has an RTP of 96.38%, which is a relatively high RTP when you compare it to most slots in the market. 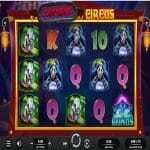 Like most line-based slots, you will need three matching symbols from the leftmost reel on adjacent reels to earn a payout. The icon that will result in the highest prize is the Red-Capped Lucha Libre wrestler. As for the highest payout possible, it is equal to 165,000. You can view the payouts table by clicking on the settings button on the top left and then click on the Paytable button. Lucha Legends comes packing features and boosters that will guarantee you a highly rewarding experience. It has a Super Wild Feature, Free Spins, Extra Wilds and Multipliers. The Golden Wild is the substitution symbol of the slot that is going to replace all other symbols to help you create the best payout. They will not replace the Scatter bonus symbol. 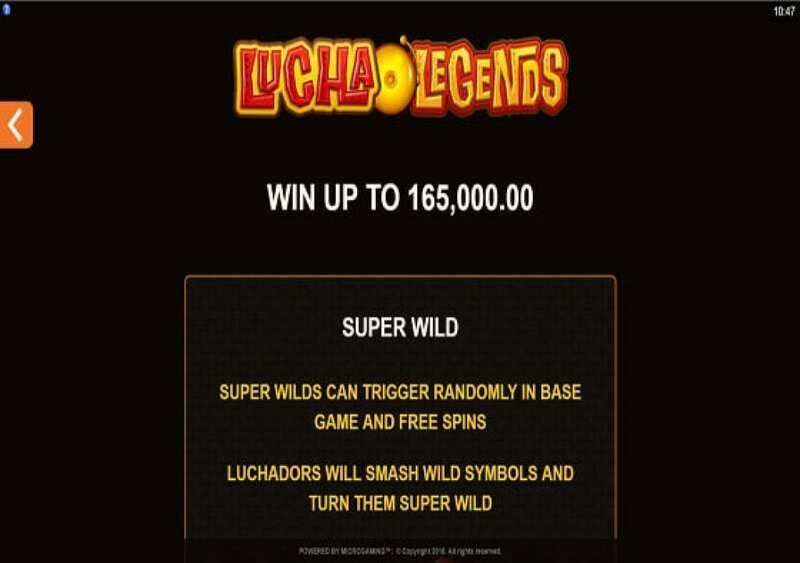 At random during the base gameplay or free spins, the Luchadors can strike the Wilds to turn them onto Super Wilds. The Super Wilds can trigger one of two features. They can turn two adjacent symbols to wild ones, or they can apply a 2x or a 3x multiplier to all wild wins. The Scatter icon, which is the golden championship belt, can trigger free spins when you get form 3-5 Scatter icons. You will learn ten free spins, with the ability to trigger more during the free spins round.